The figures, which were released under a Freedom of Information request, relate to people studying courses at Robert Gordon University and Aberdeen University. Students have been caught cheating at north-east universities nearly 900 times in the past five years. At Robert Gordon University, 518 people were caught passing off other people’s work as their own, including 103 this year, the highest it has been for three years. And 23 students were caught cheating in exams. At Aberdeen University, 304 people were caught plagiarising coursework, including 69 this year, while 49 cheated during exams. A spokesman for Robert Gordon University said: “As an institution, we take cases of academic misconduct very seriously. “Exams are robustly invigilated using an experienced team of trained external invigilators. A senior invigilator is assigned to every exam, along with supporting invigilators who are briefed on how to look for and manage instances of suspected misconduct. “Coursework marking is undertaken by an individual first marker, after which, to ensure that marking is fair, valid, reliable and consistent and that the standards applied are appropriate for the level assessed, we always have a clear process in place for double or second marking. Samples of work are reviewed by an independent external examiner. 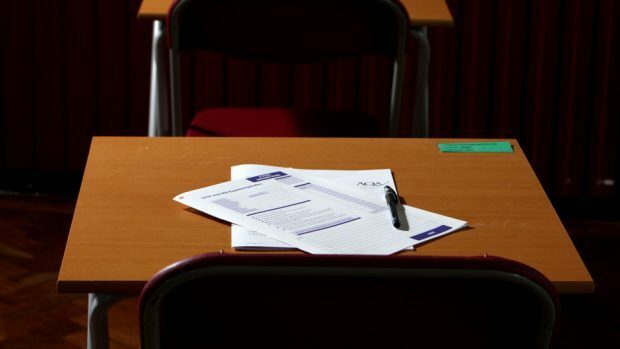 An Aberdeen University spokesman said: “We take a firm approach towards cheating and plagiarism in exams or coursework, which may result in disciplinary action as outlined in our Code of Practice on Student Discipline (Academic). “The university publishes guidance for students to raise awareness, develop their own information skills and take steps to avoid plagiarism. In addition, we subscribe to text matching software that compares students’ assignments with online sources. This software is used across the institution to ensure academic integrity in student writing.